Providers of full carpentry and joinery services in Essex! 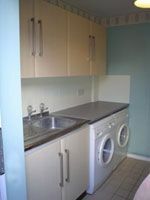 From doors and windows to full fitted kitchens! K & G Carpentry is a business that serves everywhere throughout Essex and even Herts with pride in our work and respect for our customers. We want to do the best we can each and every task. At K & G Carpentry, we believe that customer satisfaction is the key to success. We take a friendly approach to our work and like to build up a good relationship with our customers. In fact much of our new work comes from recommendations by existing customers. All of our products are carefully crafted, highly durable and designed to last. And if you do want to see evidence of this, portfolio & recommendations can be seen on request. 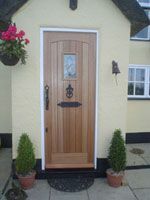 If you are looking for a carpenter and joiner in Essex, K & G Carpentry is the ideal choice. For more information and a competitive quote, get in touch with us today via the details provided on our contact page.